In February I moved from my long time home in Toronto, and to a perfect little house in the lovely little town of Maynooth, north of Bancroft, near Algonquin Park. The house was formerly the busy and successful pottery studio and gallery of potter Karen Gray. 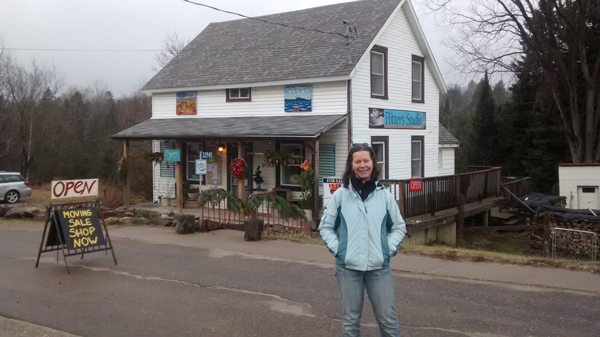 I will be operating in much the same way as Karen, with the main floor of the house devoted to my new business Black Spruce Art Works. My work, as well as work by a select few Ontario landscape artists will be on display in the gallery and available for purchase. Visitors are welcome into my studio to view work in progress and to gain a bit of insight into the creative process. Eventually I will offer workshops and classes. My new home in Maynooth — still in its guise as a pottery studio: this shot taken in December. Maynooth is a vibrant and creative community, home to many artists and artisans, and home as well to several galleries, antique, vintage and up‐cycling shops. I couldn’t be happier in my new place. I am now living in the environment that so inspires the work that I do. And the town is brimming with many kind, supportive and enormously creative folks. I love it. My house is the first one when driving north/east on Hwy 62 from Bancroft — just after Peterson Road. This is a very exciting and busy phase for me! 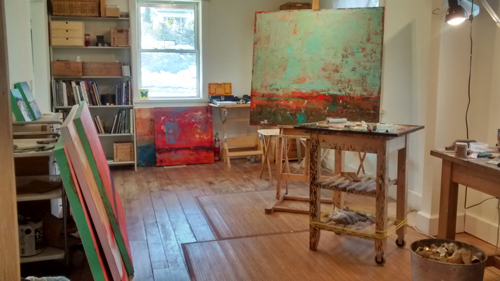 My studio is arranged nicely — I’m now in full production mode for upcoming shows — and the gallery is starting to take shape. My sign designs are getting finalized, and I expect to open the gallery within the next month — aiming for a grand opening on the Victoria Day Weekend, May 21 to 23. Studio shot with lots of work in progress!! The address is 32945 Hwy 62 Maynooth K0L 2S0. If you are ever in the area — even if my signs aren’t up yet — please stop in and say hi! I will be keeping regular gallery hours throughout the summer. 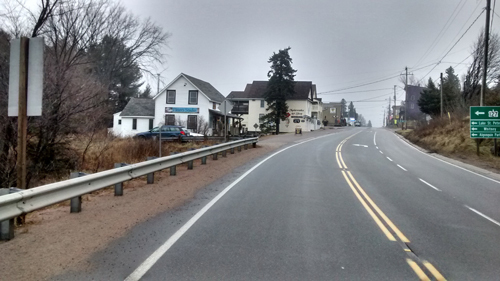 Maynooth is a terrific destination town, with a great café, amazing butter tart shop, cool old‐school hotel and B & B in town, and is nearby to Algonquin and Lake St Peter Provincial Parks with spectacular camping. I’ll be posting regular updates on my progress, and a couple exterior pics once the snow is gone and my signage is installed! I’m looking forward to a terrific and busy summer in my amazing new space.